Production downtime at a jobsite or facility is not an option, so when the granular activated carbon (GAC) in the adsorption vessel is spent, TIGG’s GAC Adsorption Vessel Exchange Program provides the replacement of the entire spent adsorber with a vessel, pre-filled with fresh, high-quality activated carbon. TIGG’s vessel exchange program offers a major benefit over the traditional method of carbon bed replacement. Instead of removing the spent carbon from the vessel directly at the jobsite, a process that is intrusive, laborious, and messy, TIGG’s team will take the exhausted adsorption vessel off-site and safely remove and recycle the spent carbon. When a job requires continuous air or water adsorption or filtration, TIGG’s safe, fast, and effective activated carbon vessel exchange service keeps it running with minimal interruption. 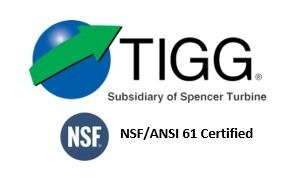 Whether your spent media is classified as hazardous or non-hazardous, TIGG technical representatives will help you complete the Spent Carbon Profile Form prior to the adsorption vessel exchange. For more information about TIGG’s Vessel Exchange Services, call 1-724-703-3020 or click here to contact us.